KeyULTRA™ masterkey system from UNION has been installed throughout a new campus at Dundee College. Part backed by the Scottish Funding Council, the newly opened Gardyne campus is an impressive purpose built learning facility, featuring lecture theatres, break-out and dining spaces and open learning decks. 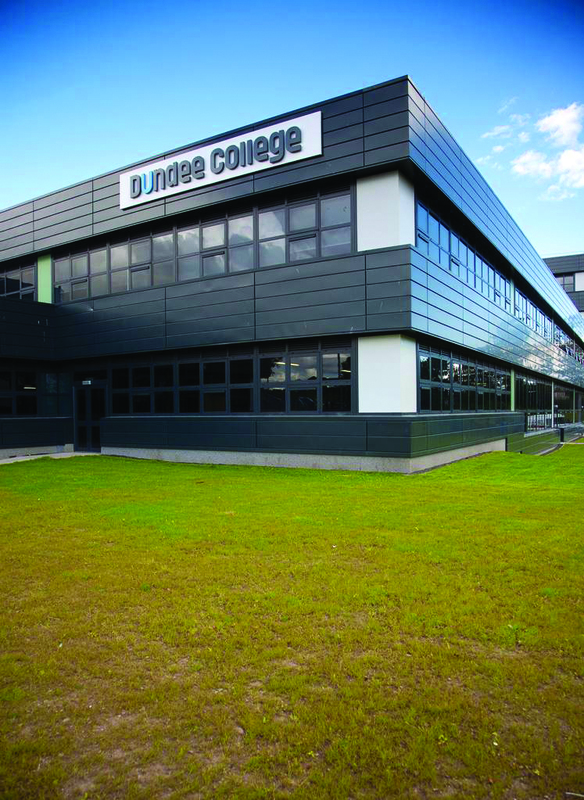 At over 18,000m2, the £48million development has allowed Dundee College, one of Scotland’s largest colleges, to consolidate its resources and offer an improved service for students. Over 400 of UNION’s keyULTRA™ masterkey cylinders were supplied by Lock Shop & Security Services Ltd, a Dundee-based locksmith, providing optimum key control, improved accessibility and increased physical security. The KeyULTRA™ 6pin masterkey cylinder from UNION is ideal for large educational facilities, where traffic frequency, high volumes of staff and students, combined with the storage of sensitive and expensive equipment onsite, makes key control and accessibility crucial. KeyULTRA™’s extended patent, lasting till 2028, based on its DuraPIN™ technology, prevent the unauthorised copying of keys on the high street, providing the college with complete key control and permitting access to authorised personnel only. KeyULTRA™ has received the highest grades for key related security and attack resistance in relation to BS EN 1303:2005 when used in conjunction with a security escutcheon – reaching security grade 6 and attack grade 2. Designed with reliability and durability in mind, keyULTRA™ utilizes self lubricating materials to provide enhanced wear resistance and has been successfully tested to 500,000 cycles. This level of durability makes it a cost effective solution for education projects, where hardware products are subject to frequent use and daily wear and tear. The initial investment made by the college is easily recoupable in maintenance and repair savings. “New college facilities contain a lot of high value equipment, and whilst this is great for the students it can be a security nightmare. Add to that the turnover of people with building or specific area access, and finding a security system to cope can prove to be difficult. “UNION’s masterkey system allows facility and security managers to monitor access whilst also preventing previous or unauthorised personnel from obtaining duplicate keys, creating a more secure and safer environment. “Working on such a large development can present logistical challenges. But, thanks to Lock Shop & Security Services Ltd. and Dundee College’s co-operation, new cylinder installations and key issuing all took place on schedule. KeyULTRA™ from UNION is available in a variety of cylinder styles, including single, double and thumbturn cylinders in Euro and Oval profiles, along with rim cylinders, padlocks and Scandinavian designs. Thumbturn cylinders can also be supplied with a clutch release function, allowing the door to be unlocked by the key holder even if the thumbturn is being held in the locked position from the inside. Classroom functions and construction keying are also available for suitable applications. For further information on the Lock Shop & Security Services Ltd. contact enquiries@lockshopdundee.co.uk.